MONTECITO UNION ELEMENTARY SCHOOL DISTRICT. Eileen M. Cohn, Administrative Law Judge, Office of Administrative Hearings (OAH), heard this matter in Santa Barbara, California, on February 1, 2, and 3, 2011, and (telephonically) in Van Nuys, California, on February 4, 2011. Attorney Kathy Greco represented Student. Student’s Mother (Parent) attended the hearing in Santa Barbara, California. Attorney Laura Schulkind represented Montecito Union Elementary School District (District). 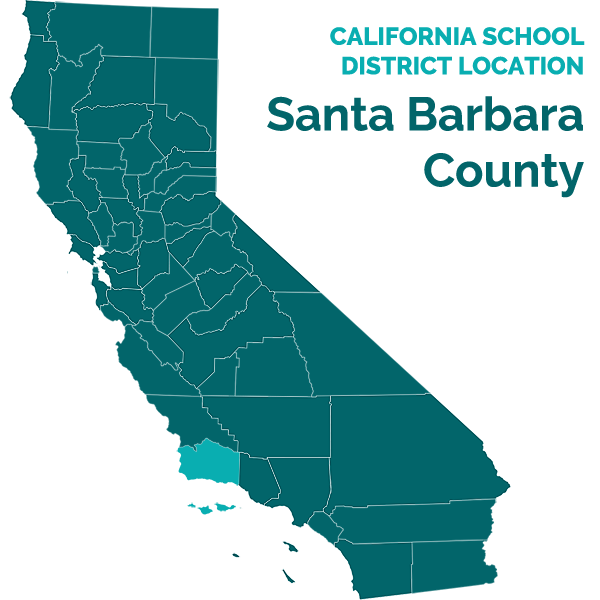 District Superintendant Tammy Murphy attended the hearing in Santa Barbara, California. On November 18, 2010, Student filed its First Amended Due Process Complaint (Complaint). On December 10, 2010, OAH granted a continuance of the hearing at the request of the parties. On January 24, 2011, a telephonic prehearing conference was held. Based upon the stipulation of the parties and in the interest of judicial economy, the ALJ bifurcated the hearing and ordered the parties to first present evidence relevant to the determination of Student’s issue. The ALJ ordered that should the issue be determined in Student’s favor, additional hearing days would be added so that the parties could present evidence as to what, if any, compensatory remedies should be awarded. Alternatively, should the ALJ make a determination that District offered Student a free and appropriate public education (FAPE), the decision as to Student’s issue would be final, and no additional hearing dates concerning compensatory remedies would be set. On January 27, 2011, Student entered into a settlement agreement (Agreement) with Santa Barbara School District (SBSD). On January 28, 2011, at the request of Student, OAH dismissed SBSD from Student’s due process hearing request. Sworn testimony and documentary evidence were received at the hearing. On February 4, 2011, Student filed a motion to strike from the record Student’s Agreement, as well as Parent’s testimony regarding the Agreement. At the conclusion of the hearing, the parties were granted permission to file closing briefs by March 1, 2011. The ALJ ordered the parties to address Student’s motion in their closing briefs. The ALJ also ordered that the record remain open and the matter further continued for the bifurcated compensatory portion of the hearing, should Student prevail on his FAPE issue. Student and District each timely filed their closing briefs on March 1, 2011. As set forth below, this decision constitutes a final determination on the merits of Student’s claims and rights to compensatory remedies, rendering unnecessary additional hearing dates. Whether District failed to offer Student a FAPE for the 2010-2011 school year at the May 6, and June 1, 2010, IEP, by not retaining Student in sixth grade. 1. At the time of the hearing Student was 13 years old. At all relevant times Student lived within the boundaries of the District and was eligible for special education as a pupil with autism. 2. Student’s annual individualized education program (IEP), which was in effect for the 2009-2010 school year, was developed on April 10, 2009, when Student was in fifth grade. At the time, Student was performing at grade-level in reading and comprehension, and was approaching grade-level standards in literary response and analysis, as well as in writing application. He was functioning at a fourth grade-level in mathematics. The IEP team reported that, overall, Student was accessing the fifth grade curriculum with accommodations. His report card showed that Student earned 97 percent in vocabulary and spelling, 90 percent in mathematical concepts, and 97 percent in social studies. 3. The April 10, 2009, IEP team developed 16 goals for Student. Specifically, the IEP team developed three social emotional goals and one leisure goal designed to increase Student’s cooperative play with peers, his ability to follow directions, and to decrease his need for breaks. Student’s expressive and spontaneous language skills were limited. To address Student’s unique language deficits, the IEP team developed the following goals: a communication goal to advance Student’s use of alternative augmented communication (AAC) devices to communicate with his peers; a written language goal to advance his ability to complete grade-level assignments using AAC and alternative response accommodations; a written language goal to expand his oral vocabulary; and an articulation goal to address his expressive language deficits and his oral motor deficits, referred to as apraxia. It also developed several gross motor goals. With the exception of a math goal, the team developed no academic goals, because Student was performing at grade-level. For math, the IEP team approved a math goal to improve Student’s performance on the gradelevel math curriculum by improving his use AAC. 4. The April 10, 2009, IEP team agreed to continue Student’s placement in the general education setting, and promote Student to sixth grade for the upcoming 2009-2010 school year. No team members, including Parent, raised any concerns about Student’s promotion from fifth to sixth grade. 5. The April 10, 2009, IEP provided Student with full inclusion in a general education elementary school class for 89 percent of the school day, including all academics, physical education, extracurricular and non-academic activities. Eleven percent of the school day was spent in special education related services, including individual language and speech (L&S) therapy, occupational therapy (OT), and adapted physical education (APE). Student’s IEP also provided him with academic accommodations, including advance review of materials, reduced assignments, and extra response time. In addition, Student received sensory-related accommodations (sensory diet) including breaks and fidget materials. Student’s IEP provided him with a behavior support plan (BSP to facilitate Student’s communication, to keep him on-task, and to manage his behaviors. 6. Student was assisted throughout his school day by a one-on-one behaviorist (one-on-one assistant) from a nonpublic agency (NPA), Inclusive Education and Community Partnership (IECP). Student’s one-on-one assistant communicated with Student primarily through one AAC device, referred to as a letter board. The letter board was an 11 inch by 8.5 inch sheet of paper containing a row of large numbers and several rows of large letters. Student utilized the board to build words and sentences by pointing to letters. Student’s one-on-one assistant would translate his sentences verbally or in writing for the class. IECP developed the majority of Student’s IEP goals, and his BSP. 7. In Spring 2009, Student took the California Standardized Testing and Reporting (STAR) test for fifth grade, with accommodations. The STAR test was administered to all general education pupils. The test results, which were not distributed until summer 2009, were divided into five levels: (1) far below basic; (2) below basic; (3) basic; (4) proficient; and (5) advanced. To show mastery of grade-level curriculum, pupils should obtain scores in the proficient range on all subjects, but at a minimum, should obtain scores in the basic range. Student obtained a below basic score of 295 in English language arts, which was five points below a basic score of 300. Student received a proficient score in Math of 357. In Science, Student scored 293, which was in the below basic range, seven points below the basic score of 300. 8. District’s sixth grade academic year began August 31, 2009. Parent kept Student at home during the pendency of a previous dispute she filed against District on behalf of Student OAH Case No. 2009050484. Student began sixth grade on November 9, 2009, shortly after a decision was issued in that previous dispute. 9. Student’s sixth grade general education class included 18 other pupils, and all of them were required to rotate classrooms each day, and receive instruction from different teachers in the areas of math, science, and social studies. In addition, the students were required to attend music class, computer lab, Spanish class, and library class once a week. Student also attended APE twice weekly. 10. District’s school year was divided into three reporting periods. Because Student was absent during the first reporting period for sixth grade, he did not receive any grades for that period of time. 11. The IEP team met on May 6, 2010, and June 1, 2010, to develop Student’s IEP for the 2010-2011 school year, when Student would be entering seventh grade. All required IEP team members were present or otherwise excused by Parent. SBSD representatives were also present. Among the IEP participants were: Parent; Student’s sixth grade general education teacher, Marilyn Bachman; Kathy Gulje, the special education coordinator for Santa Barbara County Education Office (SBCEO); Kathy Loce, Student’s speech and language pathologist; Student’s case manager from IECP; District and SBSD school principals; representatives from SBSD; Student’s OT and APE providers; an AAC specialist; and attorneys for District, Student and SBSD. District’s special education teacher attended the May 6, 2010, IEP team meeting, and was excused by Parent from attending the June 1, 2010, IEP team meeting. 12. District IEP team members reported on Student’s academic skill level in science, math and written language. In science lab, Student was generally dependent upon his one-on-one assistant to support him in accessing his equipment, conversing with peers, and giving him specific tasks to do. Student did not respond to the science teacher without the assistance of the one-on-one assistant and did not initiate interactions with his peers. He followed directions from peers and observed, but did not offer ideas. In math, Student initiated responses using his letter board, with one-on-one assistance. He struggled with the multiple choice format, and required the one-on-one assistant to transfer responses from the letter board to the answer sheet. The one-on-one assistant also had to intervene to keep Student focused. In written language, Student was able to produce work at grade-level, but required support in editing for grammar, spelling and content. He was developing skills in using a computer for rough drafts, but was dependent on his one-on-one assistant to translate the information from the letter board to the document. 13. Student’s general education teacher, Ms. Bachman, provided input to the IEP team about Student’s academic and classroom performance. Ms. Bachman told the IEP team that Student had performed well in sixth grade. The IEP team considered Student’s academic progress by looking at his academic performance from classroom test scores. At the time of the IEP team meeting, Ms. Bachman reported that Student had obtained all passing grades, including one A, several Bs, and one C. Ms. Bachman reported that Student was speaking more in class. She also prepared and displayed a PowerPoint presentation of Student’s participation with his general education class in a multi-day overnight science camp, referred to as Wolf Camp, where Student participated in science experiments, and a range of physical activities. 14. There was no evidence that the IEP team discussed or considered Student’s STAR test results from fifth grade in their review of his academic progress. 15. The IEP team reviewed Student’s progress on his speech and language goals. Student’s speech and language goals were met or partially met. Student’s ability to communicate improved but remained an area of significant challenge. As his muscle strength and flexibility improved, so did his ability to articulate. He was able to produce three to five word phrases, and increase his verbalization of responses, instead of using his letter board. Occasionally he made spontaneous comments to peers, such as “that’s cool.” Student’s verbal vocabulary was expanding; he could create simple sentences when cued, and greet and take leave with minor cues. Generally, Student showed some willingness to interact with familiar adults and teachers, but rarely initiated or responded to any communication with peers. 16. IECP reported on Student’s progress on the social and written language goals implemented from the April 2009 IEP. IECP reported that either Student met, or made significant, good, or some progress on his goals. He signaled that he needed a break by saying “break.” He met his goal of completing grade-level writing assignments by using his communication device 92 percent of the time with little or no prompts with the one-on-one assistant translating what Student pointed to in the text. He met his goal of completing grade-level assignments by only requiring support or prompts on the content of the lessons less than two percent of the time. Student sustained cooperative play with his peers with five prompts. He could follow three-part directions with three to four prompts. He made progress on responding to peers inside the classroom using the letter board, but responded more consistently to adults. He made progress interacting with peers using simple and functional words or phrases while participating in a table top game. 17. IECP reported on Student’s behavior and his BSP. Student could stay on-task for at least 30 minutes and rarely needed breaks. Student was particularly challenged by testing situations, writing assignments, or physical changes he was experiencing due to puberty. Student remained at his desk for many breaks, but would also request to go outside for a brief walk or to use the restroom. He no longer would lay on the floor, as he had done in the past, but did often request to sit on a bean bag. Using his letter board, Student was able to communicate to his one-on-one assistant the reason for his discomfort which generally fell into three categories: loneliness, anxiety, or need for a restroom break. Overall, IECP reported that Student made substantial progress on his BSP, and that the behaviors addressed by the BSP decreased significantly. 18. Student met all his OT goals and met, or partially met, his APE goals. 20. The IEP team developed 18 goals, the majority of which were drafted by IECP, and which were consistent with the goals developed at the April 2009 IEP team meeting. These goals included several language and communication goals to advance Student’s ability to speak and interact with his peers and adults in his educational environment, and to work in a group on grade-level curriculum. The IEP team developed an articulation goal to address Student’s apraxia and further develop his muscle strength and flexibility. The IEP team developed an expressive language-pragmatic goal to increase Student’s ability to interact spontaneously throughout the day with minor cues. The IEP team developed a vocabulary goal to expand Student’s expressive vocabulary labels by 50 words and use the words in simple phrases and sentences to describe core curriculum tasks in terms of size, shape, quantity, time, people, subjects, and events. The IEP team developed a writing goal to increase Student’s independence from his one-on-one assistant in completing grade-level writing assignments including accurately editing the assignments for grammar, spelling, punctuation and content by using his letter board with his teachers and the computer for the creation of rough drafts. The IEP team developed a written language goal which required Student to work with his teacher using AAC to complete one grade-level assignment monthly. The IEP team developed a text generation goal to increase Student’s independent use of an adapted or standard computer keyboard for short writing assignments. The IEP team developed a reading goal to expand Student’s use of AAC to complete gradelevel comprehension activities, such as worksheets. 21. The IEP team developed two math goals to increase Student’s ability to use AAC independently to provide written multiple choice test responses, and to directly communicate to the class during lessons. 22. The IEP team developed a social emotional goal to improve Student’s independent navigation of classroom routines, such as entering and exiting the classroom, gathering materials, and handling his backpack. 23. The IEP team approved of goals to encourage unassisted interaction between Student and his peers for academic and leisure activities. One goal advanced Student’s participation in group grade-level classroom assignments. Another goal advanced Student’s peer interactions by having him engage in conversation using AAC. Two goals were designed to encourage Student to initiate interactions during a game with minimal indirect prompts, and to sustain his participation in a leisure activity. 24. At the final session of the IEP on June 1, 2011, Parent requested that District retain Student in sixth grade. Parent maintained that Student needed to work on his new goals in sixth grade and believed that placing Student in a junior high school setting would be “detrimental” to Student. 25. District declined to retain Student. On the same page where Student’s inclusive general education classroom setting was described, the IEP identified three alternative promotion criteria for Student: District, Progress on Goals, or Other. District selected District criteria. District’s promotion criteria were set forth in Board Policy 6146.5. District Board Policy 6146.5 included the general principle that pupils progress through each grade-level in one year. To accomplish this, Board Policy 6146.5 stated that instruction should accommodate the variety of ways pupils learn and include strategies for addressing academic deficiencies when needed. According to this policy, pupils were identified for retention based upon multiple measures, which included, among other things, STAR as well as minimal levels of proficiency recommended by the State Board of Education. Students who failed to meet the District’s minimum level of proficiency in grades four and five in reading, writing and mathematics were placed on a program of remediation and retested during sixth grade using a district-developed test of proficiency. For those pupils who did not meet the District’s minimum level of proficiency in fourth or fifth grade, the District was required to meet with parents at the beginning of sixth grade and develop an intervention program for the pupil to achieve proficiency in sixth grade and graduate. District developed minimum academic standards in reading, writing and mathematics to ensure that pupils exiting sixth grade were prepared for middle school. Pupils in need of remediation in sixth grade were deemed proficient by achieving a passing score in previously deficient areas of reading, writing, or mathematics, in exams developed by the school staff. Board Policy 6146.5 also provided that pupils actively engaged in school district or county special programs (such as programs for limited English proficient or Elementary Secondary Education Act, Chapter 1) shall have individual graduation standards established by the involved pupils’ IEP team. 26. At the June 1, 2011, IEP team meeting, SBSD discussed the structure of its general education seventh grade classes, most of which contained 33 pupils. SBSD junior high school students had six class periods per day and an additional period for an elective. SBSD offered Student placement in the general education junior high school setting, with a one-on-one assistant throughout the school year. The offer also provided a period where IECP would continue to provide services, until the transition of those services to SBSD staff was completed. Parent insisted that IECP behaviorists needed to remain as Student’s one-on-one assistant throughout the school year. SBSD advised that it would hold a transition IEP meeting within the first thirty days of school to revisit Student’s goals and services. 27. District team members advised at the meeting that they were committed to supporting Student and Parent during Student’s transition to SBSD by having District staff who worked with Student meet with SBSD staff and providers to discuss his strengths and educational needs. 28. Parent did not consent to any portion of the IEP except the goals. 29. In June 2010, Student participated in District’s sixth grade graduation ceremonies. Thereafter, Parent did not enroll Student in SBSD or any other school. Mother testified that Student has been at home, and utilizing the sixth grade curriculum. Student also works occasionally with a tutor. She has personally worked with Student on the goals set by the IEP team. Mother provided no evidence demonstrating her qualifications to teach or implement goals. 30. At hearing, Parent explained that she based her retention request on her knowledge of Student as his mother, as she observed him in his home environment. She had only observed Student in class approximately five times during the school year, for five to ten minutes each time, and admitted that Student had a great sixth grade year. Parent explained that she was not concerned with Student’s academic progress, and agreed that he was cognitively within the range of his peers. Rather, her request for retention was based upon her firm belief that Student’s challenges as identified in his IEP goals, especially advances in his ability to work independently, needed to be worked on in the small and familiar environment of sixth grade before he could manage the larger and more demanding junior high school environment. She did not want to place Student in a new environment to work on his new goals. Parent did not seek the input of other educational consultants before making her request. She never visited a SBSD junior high school, or participated in the junior high school orientation offered to all sixth grade parents. 31. At hearing, IECP’s director, Rick Clemens, testified on behalf of his company, and as an expert on inclusion. Mr. Clemens expertise on inclusion was not challenged by either party. As explained by Mr. Clemens, research has shown that special education pupils benefit from interaction with “similar” age peers without disabilities. An inclusive environment provides pupils with access to high interest activities. Increasing pupils’ motivation to learn creates a positive learning environment as pupils pay greater attention to subject matter that is of high interest. As further explained by Mr. Clemens, IECP prepares new goals based upon a pupil’s current progress on his previous goals. IECP’s goals are written for an inclusive setting. The goals presume exposure to grade-level curriculum even if the pupil has not met grade-level standards. IECP’s goals are designed to be worked on with grade-level curriculum, whatever the grade-level. However, because pupils are rarely retained, IECP would not prepare goals under the assumption that pupils were being retained in their present grade. 32. At hearing, Ms. Bachman provided testimony regarding Student’s progress during sixth grade. Ms. Bachman, who has 42 years of teaching experience, including 26 years with District, was Student’s main sixth grade general education teacher. She obtained California teaching credentials, including a Life K-8 multi–subject credential. Ms. Bachman was familiar with District’s general policy of inclusion for special education pupils, and had special education pupils in her classroom throughout the years. Her passion for teaching in general, and her knowledge and appreciation of Student, in particular, was evident from her testimony and demeanor. As his general education classroom teacher, Ms. Bachman participated in all aspects of Student’s education. In addition to instructing Student in English language arts and science, Ms. Bachman met weekly with the other sixth grade general education teachers that were involved in delivering academic instruction to her class, reviewed Student’s progress in all academic areas, and entered grades from all subject areas onto Student’s report cards. Ms. Bachman also met and collaborated with Student’s one-onone assistant and NPA supervisor to understand Student’s needs, and implement his IEP goals and BSP. Ms. Bachman created detailed records of Student’s work and maintained a portfolio of his school projects, including the PowerPoint presentation of his experience at Wolf Camp, which she had presented to the IEP team. At hearing she was able to describe her observations of Student in detail. She spoke of Student’s quiet sense of dignity when he walked into the classroom, his smile and his desire to get to work. Based upon her daily interactions with Student and his one-on-one assistant, her detailed record-keeping, and her apparent affection for Student, her testimony was given substantial weight. 33. When Student first entered Ms. Bachman’s class, she was not familiar with Student’s letter board, and was concerned that the work Student completed was not his own, but that of his one-on-one assistant. In February 2010, Ms. Bachman met with Student’s one-on-one assistant and Parent and discussed how the letter board worked and how the assistant worked with Student to translate his responses, to make sure that Student’s work was independent. After that meeting, Ms. Bachman was satisfied that Student was working independently and that his work was his own. 34. Student was provided grade-level curriculum throughout sixth grade with accommodations. Many of his assignments were shortened to accommodate his breaks and the time it took to use his letter board to communicate his responses. Ms. Bachman also provided extra time so that the one-on-one assistant could translate Student’s responses into text or answer sheets. The content of Student’s curriculum was not changed or modified. 35. Ms. Bachman explained that academically Student was in the middle of his class. In math, pupils were divided into three ability groups: pre-algebra, grade-level, or grade-level with additional supports. Student was assigned to the grade-level math group. Student achieved overall grades of A-and A in math, in the second and third grading periods, respectively. The overall math grade was comprised of three measures: (1) math concepts as reflected in his tests, including number sense, algebra and functions, measurement and geometry, statistics and probability, and mathematical reasoning; (2) Student’s accurate completion of work; and (3) Student’s ability to effectively use problem solving strategies. In math concepts, Student received A’s in his second and third reporting periods. In the remaining math measures, Student met grade-level standards for each reporting period. 36. In the areas of vocabulary and spelling, Student was graded in grammar usage and obtained grades of B’s in the second and third reporting periods. District’s vocabulary curriculum required pupils to learn Latin roots, antonyms, synonyms, words in context and shades of meaning. Student was also graded on his use of assigned words. He received a B in the second reporting period, and a C in the third reporting period. Prior to the hearing Ms. Bachman discovered she miscalculated Student’s C grade in the third reporting period and changed it to a B. In science, Student achieved a “pass” in his second reporting period and a B in his third reporting period. He obtained a B on his science exams, and met grade-level in his lab performance and participation. In social studies, Student performed in the “approaching grade standards” range in both reporting periods. 37. Student’s final grade in English language arts was a B. Student’s grade was derived from several small reading and writing projects and his completion of the following longer written assignments: a written presentation of the Greek classic, “The Odyssey,” which included a multi-chapter story, accompanied by a digitized photograph of him as Odysseus; a book report; a newspaper article; and an opinion poll project. Student’s ability to complete grade-level writing assignments was demonstrated by his portfolio. Student wrote on a variety of topics, such as the extinction of owls, and the “unsavory, vampire-like behaviors” of the black widow spider. For his opinion poll, he asked questions about the problems related to the roundup of wild horses in Nevada. To complete many of the class projects, Student was required to conduct research, create drafts, and analyze data. 38. Student participated in extracurricular activities with his peers. With 24-hour one-on-one assistance, Student participated in an overnight, multi-day, wilderness science camp, Wolf Camp, where he demonstrated his superior ability to use solar energy to power a motor. Student also demonstrated his willingness to try a new activity, pole climbing. On campus, Student participated in a school play and performed on stage with his classmates. 39. Student was maturing physically in sixth grade. He was getting facial hair, growing taller and appeared to be more self-conscious about his physical maturity by hunching over. 40. Student was well liked by his peers and was generally integrated into their daily routines. As the year progressed, Student made more attempts to communicate directly with his peers, although he rarely initiated communication. 41. Ms. Bachman explained at hearing that she did not consider retention to be in Student’s best interest. Overall, she found Student bright, and able to perform well academically. He also made strides socially, as he was included in students’ games and was clearly happy to be in school. 42. Kathy Loce, Student’s fifth and sixth grade speech and language pathologist, provided testimony at hearing. Ms. Loce has 30 years experience as a speech and language pathologist. Ms. Loce explained that Student’s expressive language ability were years below that of his peers. Ms. Loce prepared a list of 110 words representing the known vocabulary Student had spoken over the course of his speech therapy sessions with her. Ms. Loce worked on these words with Student to address his apraxia by improving his motor and breath control. Ms. Loce also prepared a list of phrases of very basic greetings or directives that Student could speak. Student’s known spoken phrases were relatively few, and encompassed simple one word salutations of “hi” and “bye,” and no more than three to five word phrases. Overall, Ms. Loce was encouraged by Student’s progress during sixth grade. Student consistently, and with rare exception, communicated with her without the use of his letter board. Ms. Loce advised that Student’s speech and language skills advanced when he was surrounded by same-age peers, because their experiences and interests were similar. Ms. Loce opined that Student would be more motivated to communicate with same-age peers, based on her observations of Student as he matured during sixth grade, and believed that Student would be able to adjust to new people in a relatively short period of time. She was committed to meeting with Student’s new speech and language pathologist at SBSD to thoroughly review Student’s background and progress to ensure a smooth transition. 43. Kathy Gulje, Special Education Coordinator of the Santa Barbara County Education Office of Education (SBCEO), attended the May 6, and June 1, 2010 IEP team meetings, and provided testimony at hearing. She has known Student since second grade when she provided direct service to Student as his speech and language pathologist. Throughout his enrollment in District, Ms. Gulje continued to monitor Student’s designated instruction and services (DIS) and was familiar with his placement. Ms. Gulje’s participation in the May and June 2010 IEP team meetings was limited to developing and providing input to Student’s proposed goals. As Special Education Coordinator, Ms. Gulje supervised District’s special education personnel and programs. Ms. Gulje supervised Student’s DIS, including his IECP assistant services. As part of her review of Student’s services, Ms. Gulje observed Student during the 2009-2010 school year approximately seven times for 40 minutes. In addition to the annual IEP team meetings held in May and June 2010, Ms. Gulje participated in one meeting during spring 2010, in preparation for Student’s participation in Wolf Camp. At hearing, Ms. Gulje appeared well informed of Student’s unique needs, his proposed goals, and responded to questions simply, clearly and directly. For these reasons, her testimony was credible and persuasive. 44. Ms. Gulje testified that Student demonstrated through hard work that he could “rise to the challenge” and could perform at least average grade-level work. It was her belief that because Student successfully completed sixth grade work, it would be unfair to have him repeat this work again, and he could become bored. Student also had the same interests as his same-age peers. As an included pupil, Student could model his behavior from same-age peers. Retention could impede that process. As an autistic pupil, Student would always have communication, social and behavioral challenges, as well as difficulty generalizing his behavior from one environment to another. However, unless he is permitted to apply new goals to the junior high school setting, he will not advance. Student’s one-on-one assistant could assist Student with his transition, behaviors, and independence. Ms. Gulje maintained that Student could achieve an educational benefit with promotion as he had in sixth grade. 45. Student relied heavily on the testimony of expert witness, Ann Simun, Psy. D. (Dr. Simun). Dr. Simun is a clinical neuropsychologist, licensed by the states of California and North Dakota. She was also employed and licensed as a school psychologist for over seven years in California school districts. She has taught psychology courses as a member of the adjunct faculty at Pepperdine Graduate School of Education and Psychology. She has been a member of IEP teams, and during the course of her tenure in California school districts, participated in the decision to retain some special education pupils. Dr. Simun performed a psychoeducational assessment of Student in June and July 2009. As part of her assessment, she observed Student in his fifth grade class, and in a clinical setting, as part of her administration of formal assessments. 47. Dr. Simun thought that the goals designed to address Student’s ability to function independently throughout the school day were ambitious, but she considered them appropriate. She maintained that goals which relied upon progressing Student from prompt dependence to independence in one year would be very difficult to achieve, but conceded that they might be achievable with the proper one-on-one support. 48. Dr. Simun disagreed with Ms. Bachman’s interpretation of Student’s grades. Dr. Simun concluded that based on her review of Student’s STAR reports, Student was not meeting grade-level standards.1 Given Student’s unmodified curriculum, Dr. Simun stated it was appropriate to measure District’s decision to promote Student based in part upon his ability to access grade-level curriculum. 49. Dr. Simun testified regarding the challenges facing Student at a junior high school setting. Student would have to navigate classroom routines several times a day, and transition from class to class. Student would lose class and instruction time, because he is slow to transition. However, when Dr. Simun observed Student with his one-on-one assistant transitioning to his computer class in 2009, she was impressed with how quickly he responded to his assistant’s prompt and found his way to the computer class. 50. Dr. Simun claimed that as a fully included pupil, Student would have difficulty attending to his academic classes because of his need to take breaks every 30 minutes. Dr. Simun considered it important for Student to master his classroom, navigation and transition routines at the elementary school before going to the junior high school. She acknowledged that Student’s disability, autism, was life-long, but failed to address directly whether, as an autistic pupil, Student could fully generalize progress made at elementary school to the junior high school, without practicing them at the junior high school level. Dr. Simun declined to place a timetable for Student’s eventual promotion to junior high school and left open the possibility that it could be years before Student could be promoted to junior high school. 51. Dr. Simun insisted that Student would not be out of place as an older elementary school pupil because, due to Student’s limited expressive language, problems with writing independently, Student’s peers were not same-age, but were much younger. Dr. Simun did not think Student was ready to meet junior high school grade-level academic standards given his language, attention, and behavioral deficits. However, Dr. Simun admitted that, consistent with the literature on the advantages of full inclusion, Student would benefit from being fully included with same-age peers. She further conceded that inclusion advances linguistic, social emotional and academic progress. She also admitted that it would be very upsetting for Student to return to sixth grade after graduating with his peers. 52. Dr. Simun conceded that she did not have all the information to provide an opinion as to whether Student could receive an educational benefit in a junior high school seventh grade. She maintained that if his “significant” behavioral issues evident from her assessment and observation of him in 2009, had not escalated and were being controlled, as reported in his sixth grade records, he could get some educational benefit from seventh grade. 53. Dr. Simun maintained that District was required to review Student’s readiness for promotion as a condition for placement. Dr. Simun described general education promotion criteria she applied as an administrator to approximately twenty special education pupils to determine that they should be retained. She referred to the criteria as the “Light’s Retention Scale.” She explained that promotion and retention determinations are especially important in key transitions such as between kindergarten and first grade and elementary and junior high schools. In her opinion, decisions on retention are not based entirely on whether a pupil has met academic standards, but should be based on a wide variety of factors, including academic deficiencies in a range of subject areas, age, physical development, and adaptive, independent, and social skill levels. Before a pupil is retained, interventions such as summer school, tutoring, or other supports should be considered and tried. 54. Although Dr. Simun demonstrated that she is a capable and well-qualified expert, her testimony did not support Student’s claim that District was required to retain him in order to provide him a FAPE. Dr. Simun had not met with or observed Student in any setting since July 2009. Her understanding of Student’s performance and behavior during sixth grade was based solely on her review of Student’s school records, including IEPs, IECP progress reports, grade reports and STAR testing. Furthermore, in many instances, her testimony regarding educational practices for inclusion and advancement of special education pupils in general, and pupils, like Student, on the autism spectrum, was inconsistent with her conclusion that Student should have been retained. Given the one and a half year gap in her personal observation and assessment of Student, Dr. Simun’s testimony regarding Student’s performance and ability to progress was not persuasive, especially where it conflicted with Ms. Bachman’s, Student’s sixth grade teacher. Given the inconsistency between her testimony and opinion, her testimony failed to advance Student’s burden of proof. 55. On January 27, 2011, Parent entered into the Agreement with SBSD which resolved all claims against SBSD arising from Student’s claims against it in this matter. As part of the Agreement, SBSD agreed to fund Student’s preferred provider, IECP, for one-onone services for the entire school day, as well as behavior supervision services, from the date of the Agreement, through the end of the 2012 extended school year (ESY). In return, Student agreed to attend a school during the 2010-2011 and 2011-2012 school years. From the execution date of the Agreement through 2012 ESY, Student must attend either a SBSD school, a charter school, or another school program at private expense. The Agreement provided for contingencies arising from the determination of the dispute in the instant matter between District and Student. The Agreement provided that for the 2011-2012 school year, SBSD would provide a seventh grade placement if the Student prevailed against District, and an eighth grade placement if he did not prevail against District. Student and SBSD agreed that the program and services offered in the Agreement constituted an offer of FAPE as required by the IDEA for the 2010-2011 school year. The parties agreed that the Agreement was not an admission of liability for any purpose. 56. On February 3, 2011, District introduced the Agreement at the hearing during Parent’s testimony. District redacted information regarding Student’s name, reimbursement funds to Student for compensatory education, and other costs. The ALJ asked counsel jointly representing Parent and Student whether she objected to the admission of the Agreement, and she said “no.” Parent was questioned briefly about the Agreement by District without objection from her counsel. Her counsel also questioned her about the Agreement. On February 4, 2011, Student’s counsel moved to strike from the record the Agreement and the related testimony provided by Parent. 2. As a preliminary matter, Student moves to strike from the record the Agreement between Student and SBSD, and the related hearing testimony from Parent, on the grounds that it is confidential and irrelevant. District opposes Student’s motion on the ground that Student waived his objection to the admissibility of the Agreement and related testimony. In addition, District contends that the Agreement is admissible to show Student’s due process hearing request is moot, because the Agreement provides the only relief to which he is entitled for the 2010-2011 school year, which Student agreed constituted FAPE. For the following reasons, Student’s motion to strike the Agreement is denied. However, District’s claim that the Agreement renders Student’s due process hearing request moot is also rejected. 3. Student failed to show that the Agreement is inadmissible and irrelevant to his due process hearing request against District. In administrative proceedings, the ALJ may admit evidence that is relevant to a determination of the matter regardless of any statutory rule which would render the evidence inadmissible over objection in civil actions. (Gov. Code, §11513, subd. (c).) Relevant evidence is evidence which has any tendency in reason to prove or disprove any disputed fact that is of consequence to the determination of the action. (Evid. Code, § 210.) Student’s due process hearing request encompasses claims that District and SBSD failed to offer Student a FAPE for the 2010-2011 school year, and the Agreement is highly probative of whether Student’s claim was partially or fully satisfied. Further, in special education matters the ALJ is empowered to determine equitable relief. (Forest Grove School District v. T.A. (2009) __U.S.__[129 S. Ct. 2484, 2494, fn. 11; 174 L.Ed.2d 168].) The Agreement is highly relevant to the determination of equitable relief given the allegations of the due process hearing request. Here, the parties agreed to a bifurcated proceeding where compensatory relief, principally, in the form of IECP services, would be considered after the ALJ determined whether District failed to provide Student a FAPE by not retaining him in the sixth grade. However, relief in the form of retention, was expressly reserved for this phase of the proceeding. As part of the Agreement, Student committed to placement in SBSD, a charter or other placement from the date of the Agreement, January 27, 2011. Given the ALJ’s broad equitable powers, if Student prevailed, the ALJ’s award of compensatory relief would not be limited to a sixth grade placement at the District school, but could include reimbursement for private school education. In sum, by excluding evidence of the Agreement between Student and SBSD, the ALJ would be denied information to determine equitable relief, and could potentially and inappropriately award duplicative relief. 4. Even if the Evidence Code applied, which it does not, the evidence would be admissible. Under the Evidence Code, evidence of settlement agreements is inadmissible to prove liability for the whole or a portion of the settled claim, or that a settled claim was invalid, but is admissible to show partial satisfaction of a claim. (Evid. Code §§ 1152 (a) & (c) 2, 1154). Here, given the FAPE allegations and request for compensatory or other equitable remedies, it is relevant to know the educational services Student has agreed to with the SBSD, the district that has responsibility for Student’s junior high school education. 5. The evidentiary exclusions of Evidence Code §§ 1152 and 1154 are not applicable here. The exclusions are designed to bar the admissibility of settlement agreements between the settling parties regarding the validity of settled claims. (See Fieldson Assoc. Inc. v. Whitecliff Laboratories (1969) 276 Cal.App.2d 770, 772 (agreement admissible to show invalidity of different claim between the same parties); Zhou v. Unisource Inc. (2007) 157 Cal.App.4th 1471, 1479 (settlement letters offered to show invalidity of claim being litigated, not claim under negotiation).) Here, District was not a party to the Agreement, and Student’s claims against SBSD were not restricted to his claim against District. Student also alleged that SBSD denied Student a FAPE by failing to provide IECP services. 6. The Agreement is also admissible because Student and Parent waived their collective objection to the admission of the Agreement and Mother’s related testimony. During trial, objections to the admissibility of evidence are waived if not asserted at the time the evidence is proffered. (See Evid. Code, § 353; Wiser v. Bell Helicopter Textron Inc. (2003) 111 Cal. App. 4th 640, 657-658.) As set forth in Factual Finding 55, Student did not object to the Agreement and related testimony at the time it was proffered. On the contrary, when the ALJ provided counsel for Student and Parent the opportunity to object to the admission of the Agreement, she stated that she had no objection. Counsel for Student and Parent also asked Parent questions about the Agreement. For all of the above reasons, the Agreement was admissible and Student’s Motion to Strike is denied. 7. To the extent District maintains that the Agreement renders the instant hearing moot, District is incorrect. District contends that Student’s case is moot because the Agreement provided Student with the only compensatory relief he requested, continued IECP services. Although an existing controversy may exist when a matter is filed, if before the decision, there is no longer a controversy, the matter becomes moot and will not be considered by the court. (See Consumer Cause, Inc. v. Johnson & Johnson (2005) 132 Cal. App. 4t h 1175, 1183 (there was no longer a controversy before the trial court where, contrary to the allegations of the complaint, the defendants had not violated the law).) Here, the Agreement between Student and SBSD expressly excluded any relief Student might obtain from District in the form of retention. Student’s pleading set forth a controversy as to whether District’s decision not to retain Student constituted a denial of FAPE, and the Agreement did not discharge that controversy. In addition to pleading that Student should have been retained because he failed to meet sixth grade-level standards, Student also pleaded that retention was appropriate because he failed to meet the majority of his IEP goals. Although District avoids styling Student’s request for retention as compensatory relief, it was the remedy requested by Student from District in his due process hearing request, and could be considered as a form of compensatory education by the ALJ. Although as part of the Agreement Student committed to placement in SBSD, a charter or other placement from the date of the Agreement, January 28, 2011, the Agreement did not resolve compensatory relief against District in the form of reimbursement for a private sixth grade placement. For these reasons, although the Agreement was admissible and relevant, it did not render the matter moot prior to the decision in this case. Issue: Whether District denied Student a FAPE by failing to retain him in sixth grade. 8. Student contended that District failed to provide Student a FAPE when it refused to retain him in District’s sixth grade general education classroom as a fully included pupil. Student argued that District’s refusal to retain Student defied special education principles and was also contrary to District’s retention policies. Student contended that he should have been retained because he failed to master sixth grade academic standards. Further, Student contended that he should have been retained because he had not met his goals and given his unique needs, including his limited communication, and his social and behavioral needs, he was unprepared to navigate the more robust and complex routines and transitions that would be required of him in junior high school. 9. District maintained that the ALJ does not have authority to determine whether District should have retained Student because retention in this case is not a FAPE consideration, as retention policies are not within the scope of the IDEA, but are part of the general education statutory and regulatory framework. Alternatively, District maintained that its refusal to retain Student did not deprive him of a FAPE because he demonstrated that he could perform academically at grade-level and make progress on his goals as a fully included grade-level pupil. As discussed below, Student failed to prove by a preponderance of the evidence that he was denied a FAPE due to District’s rejection of Parent’s request to retain him. 17. As a threshold consideration, OAH must determine whether Student’s promotion and retention is within its jurisdiction based upon the unique facts of this case. As set forth in Legal Conclusion 11, the IDEA gives local educational agencies, such as school districts, the flexibility to delegate to the IEP team the responsibility of determining whether a pupil should be retained or promoted. However, as set forth in Legal Conclusion 12, as a general principle, OAH does not have jurisdiction to determine promotion and retention decisions that are distinct from matters relating to the identification, evaluation, or educational placement of the child, or the provision of a FAPE. Here, although no explicit direction was imbedded in Board Policy directing the IEP team convened under the IDEA to determine Student’s promotion or retention, the IEP document contained a box indicating that the IEP team was responsible for determining the standard to be applied for promotion. Student’s IEP team applied District criteria for promotion, i.e., whether Student was sufficiently meeting grade-level standards. As a result, the promotion decision was not based on progress on IEP goals or other criteria that would indicate the promotion decision was linked to the provision of a FAPE. Accordingly, because the promotion decision was not linked to the provision of a FAPE and was made by application of generally applicable District criteria, OAH does not have jurisdiction to review the promotion decision on the basis of whether or not District criteria for promotion were met. However, it is within OAH’s jurisdiction to determine as a general matter whether Student was offered a FAPE by the May and June of 2010 IEP, including the offer of placement in a seventh grade general education class for the 2010-2011 school year. As discussed below, Student did not meet his burden of proof on the FAPE issue. 18. At all times prior to June 1, 2010, when Mother first asked that Student be retained, Student’s IEP team, including Parent, believed that Student was appropriately placed in an age-appropriate general education classroom, with accommodations. Student had progressed academically from fifth grade to sixth grade as an average pupil, with the assistance of a full-day one-on-one assistant, and with accommodations. At Student’s fifth grade IEP team meeting, the team acknowledged that he was struggling with math, but no one, including Parent, suggested that his academic challenges in math warranted retention. On the contrary, Student succeeded in passing all his fifth grade subjects, including math concepts, and was accessing his curriculum. Based upon the fifth grade STAR report, which was published prior to the commencement of Student’s sixth grade year, Student was not proficient in all subjects tested, yet no consideration was given to reconsider Student’s promotion to sixth grade. Clearly, the IEP team, including Parent, did not question Student’s promotion to sixth grade as part of his offer of FAPE. As a pupil eligible for special education as a pupil with autism, Student’s challenges were life-long, well documented, and addressed by his goals, BSP, accommodations, and IECP one-on-one assistant. 19. During his sixth grade year prior to the May and June of 2010 IEP team meeting, Student progressed admirably in sixth grade as an inclusion pupil with accommodations. Ms. Bachman monitored Student closely, observed him daily with other peers, and was in the best position to evaluate Student. Ms. Bachman was at first concerned that his work was not his own, but became convinced that Student’s work product reflected his knowledge and efforts. Ms. Bachman produced a wide range of written work from Student, which demonstrated his thinking, his interests, and his ability to work at grade-level. Notably, despite Student’s two month absence from school at the beginning of the 2009-2010 school year, Student managed to access his curriculum and obtain average grades. 20. Student’s work product demonstrated that Student was capable of understanding and accessing grade-level curriculum. Student’s work product in Ms. Bachman’s class demonstrated that his receptive vocabulary was at grade-level, and was not well represented by his expressive vocabulary. Ms. Loce produced a list of words that Student could express. At hearing, Student attempted to establish that Ms. Loce’s list was the universe of Student’s expressive and receptive language abilities. Dr. Simun maintained that these words were not reflective of someone who should advance to seventh grade. However, Dr. Simun also conceded that from her own observations, Student’s receptive vocabulary was much higher than his expressive vocabulary. Based upon Student’s nonverbal, written, work product, Student demonstrated that he was capable of accessing gradelevel education as an inclusion pupil. 21. The evidence established that Student had met, or progressed on all of his IEP goals. IECP, Parent’s preferred provider, with few exceptions, drafted and implemented Student’s 2009-2010 goals, and reported that Student either met or progressed on his goals. IECP also drafted Student’s 2010-2011 goals which were agreed upon by Parent and the IEP team members. As confirmed by Mr. Clemens, IECP presumed promotion, and the goals contained in the May and June of 2010 IEP were appropriate to a seventh grade inclusion placement. Although in Dr. Simun’s opinion it would have been preferable to retain Student to practice the goals given Student’s present levels of performance, Dr. Simun conceded that Student could make progress on the goals in seventh grade with the right one-on-one support. 22. The evidence also established that Student progressed, and would continue to do so, in the least restrictive placement with his same-age peers. Ms. Bachman described Student as engaged in his school environment, in the classroom, at Wolf Camp, and as part of a theatre production. Significantly, Student’s preferred provider, IECP, as a philosophy, maintains that pupils progress by inclusion with same-age peers, even if they do not perform at grade-level. Ms. Gulje’s credible testimony was consistent with IECP’s representative, Mr. Clemens, and further supported Student’s continued inclusion with same-age peers. Dr. Simun’s opinion, that given Student’s deficits in language and communication Student’s same-age peers were not his chronological age peers, was contradicted by the more credible testimony of Mr. Clemens and Ms. Gulje. Mr. Clemens preferred the term similar-age to same-age, but did not explain the distinction between the terms. Given the undisputed evidence of Student’s physical maturity and sexually self-stimulating behaviors, Mr. Clemens’s preferred term did not raise an inference that Student’s peer group was well below his chronological age, as Dr. Simun maintained. Dr. Simun’s opinion that Student’s sameage peers were not his seventh grade peers was also contradicted by evidence of Student’s receptive language abilities, participation in Ms. Bachman’s classroom, and his success with sixth grade peers at Wolf Camp and in the theatre production. Further, by the time of hearing, Student had already graduated sixth grade by participating in graduation exercises. Dr. Simun’s acknowledgement that Student would be disappointed that he would be retained was not consistent with a pupil who would look to below-age pupils as peers. 23. Finally, although junior high presented additional challenges due to its size and the increased number of transitions, there was no credible evidence that, as an inclusion pupil, Student would not be able to progress in that environment and receive an educational benefit in the least restrictive general education placement. On the contrary, pursuant to the principles of inclusion, Student would receive more of an educational benefit from exposure with same-age peers than with retention. Parent admitted, at the time of the IEP team meeting, her request to retain Student was not supported by IECP or any other educational consultant. Dr. Simun conceded, with the right one-on-one support, Student could receive an educational benefit in seventh grade. Student had many daily transitions in sixth grade that he managed with the support of his one-on-one assistant. He also took breaks during lessons and still received an educational benefit. 2. All dates scheduled for the bifurcated hearing on compensatory relief are vacated. 3. This decision constitutes the final decision in OAH Case No. 2010110031.